When his brother Luke goes into federal protection, FBI Special Agent Chase Jones agrees to cover for him. Then Sammi's hot voice sizzles down the line, and the usual "phone only" rule is out. With "Luke" coaching her by day, and Chase dating her by night, Sammi's confidence soars, along with her appeal. Chase falls hard, but how will Sammi feel if and when he comes clean? Chase would rather she break all his bones than risk breaking her heart. IN WAYS SHE'S NEVER IMAGINED! 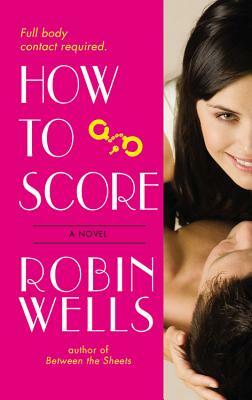 Before becoming a full-time writer, Robin Wells was an advertising and public-relations executive. Robin has won the RWA Golden Heart Award, two National Readers' Choice Awards, the Holt Medallion, and CRW's Award of Excellence. Robin currently lives just outside of New Orleans, Louisiana with her husband and two daughters.